virtually all the console wiring and isolating transformers are in place now, ready to attach to the amplifier circuits. 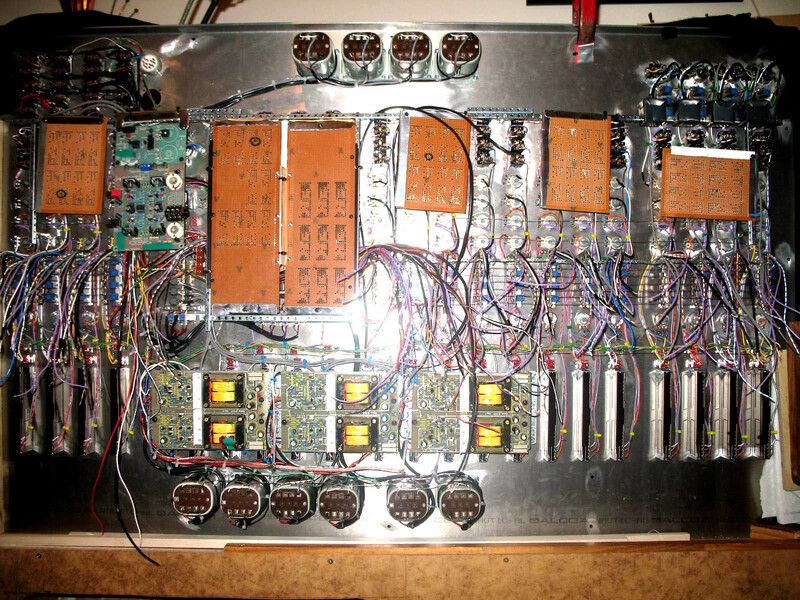 a total of 64 operational, preamp and output stages. ive made up the circuitboards and edged them and placed them all into the console frame to try them on/in for size and ergonomics. this next week will see the boards populated and tested.